During New Student Orientation, all first-year and transfer students were presented a University-issued lanyard emblazoned with their name and hometown. Jack Klarc ’20 was no different; he was christened with his lanyard, with his name John (he had to clarify his nickname) and his hometown of Scarsdale, N.Y. 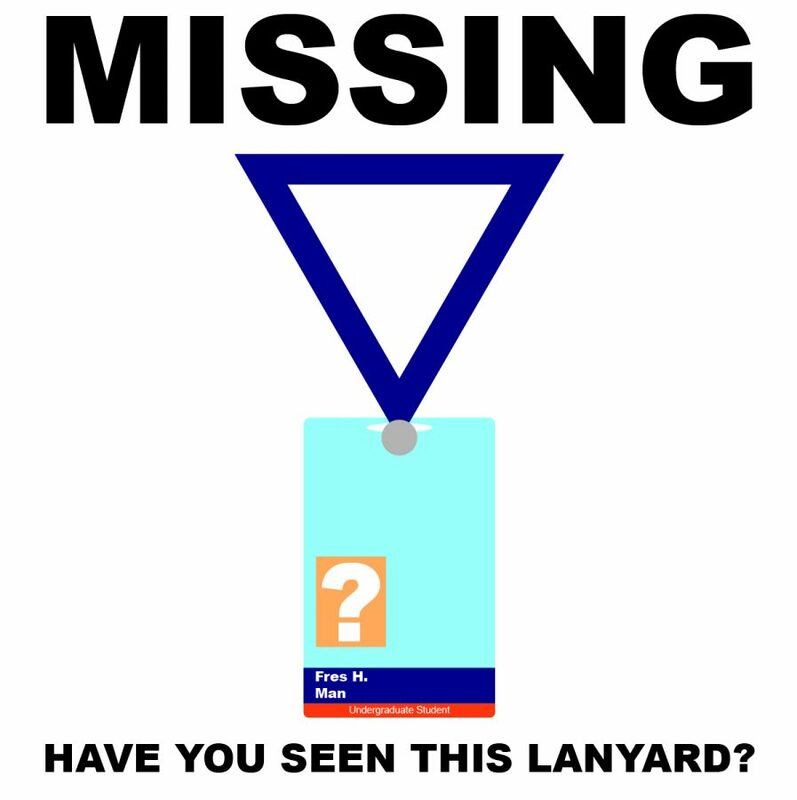 He and his peers quickly discovered that the lanyard was also the perfect spot to store one’s University ID and room key. While many of his female classmates opted to store their keys attached to their wrists on a hair-tie, Klarc preferred to keep his key close to his heart. During Orientation, before more seasoned students had returned to campus, Klarc felt safe wearing his lanyard. It was convenient. It provided a sense of identity. However, come Aug. 22, Klarc immediately realized the ramifications of this addition to his first day of school ensemble. Finally, on the second full day of classes, Klarc decided it was time to move past the comfort and familiarity of Orientation. In one ceremonious motion, Klarc lifted the cord over his head and set it down on his unmade bed. He felt different. He felt empty. He felt naked. He stepped outside, letting the Vedder doors slam behind him, and took a deep breath of muggy, late-summer air. “Excuse me, where is the admissions building,” asked a mother, her prospective student son trailing behind her, embarrassed. Klarc looked around. “Is she talking to me?” he thought. In fact, she was. 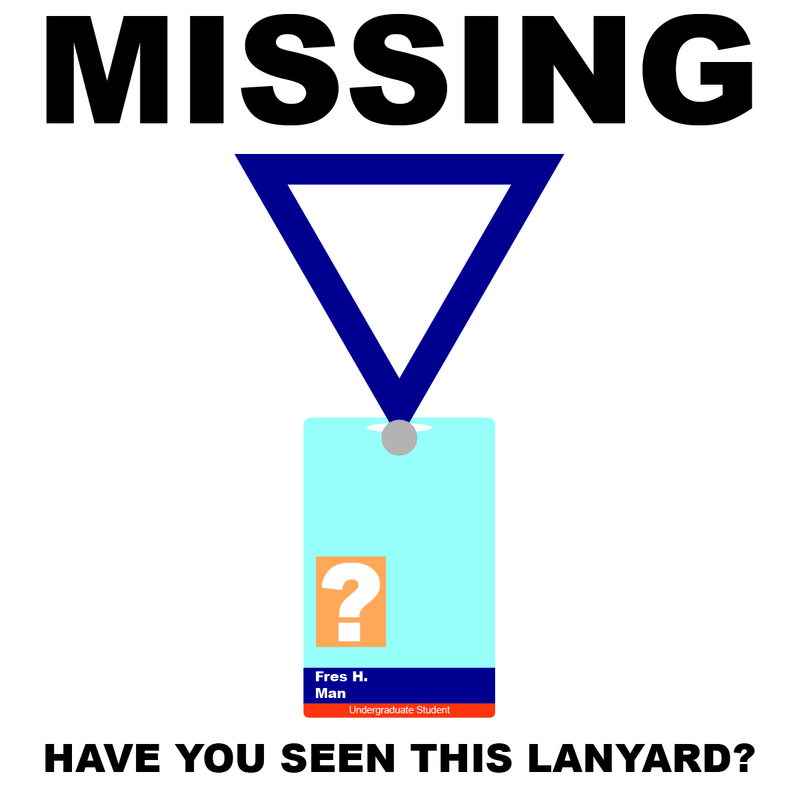 It must have been the lanyard.